Including contributions from leading scholars from Algeria, France, Germany, India and the United States this book traces the rise and turn to moderation of the New Cultural Identitarian Political Movements, often labelled in the West as fundamentalists. Arguing that culturally based ideologies are often the instruments, rather than the motivating force though which segments of a rising middle strata challenge entrenched elites the expert contributors trace the rise of these movements to changes in their respective countries’ political economy and class structures. This approach explains why, as a result of an ongoing contestation and recreation of bourgeois values, the more powerful of these movements then tend towards moderation. 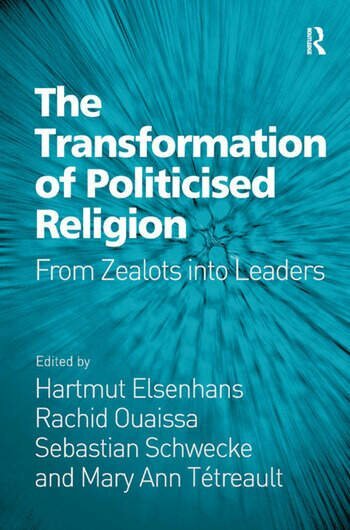 As Western countries realise the need to engage with the more moderate wings of fundamentalist political groups their rationale and aims become of increasing importance and so academics, decision-makers and business people interested in South Asia and the Muslim world will find this an invaluable account. Hartmut Elsenhans is Professor Emeritus at Leipzig University, Germany. He specialises in the economy and the history of the capitalist world system, the theory of development and underdevelopment, and the political economy of state classes and new social movements in rent based societies. Prof. Dr. Rachid Ouaissa teaches politics of the Near and Middle East at the Center of Near and Middle Eastern Studies at the Philipps-UniversitÃ¤t Marburg. His main fields of research are political, economic and societal developments in the Near- and Middle East since the nineteenth century, the rise of Islamist Movements in the region, the EU’s Mediterranean policy, the foreign policy of Arab countries and questions of Rentier states. Since February 2013 he is project manager of the project funded by the BMBF Research Network: 'Re-configurations history, memory and transformation processes in the Middle East and North Africa' Sebastian Schwecke is Assistant Professor at the Centre for Modern Indian Studies (CeMIS), University of GÃ¶ttingen, Germany. He specializes on identity-based politics in India and Pakistan, entrepreneurship, brokers and the everyday state in India, and informal financial markets in India. He has taught South Asian politics at Leipzig University and Heidelberg University, Germany. Mary Ann Tetreault has taught at Old Dominion University, Iowa State University, and is presently the Una Chapman Cox Distinguished Professor of International Affairs Emerita at Trinity University in San Antonio, Texas. She has conducted field-work and/or taught abroad in Vietnam, Japan, Slovakia, Syria, Turkey, Kuwait and Bahrain.